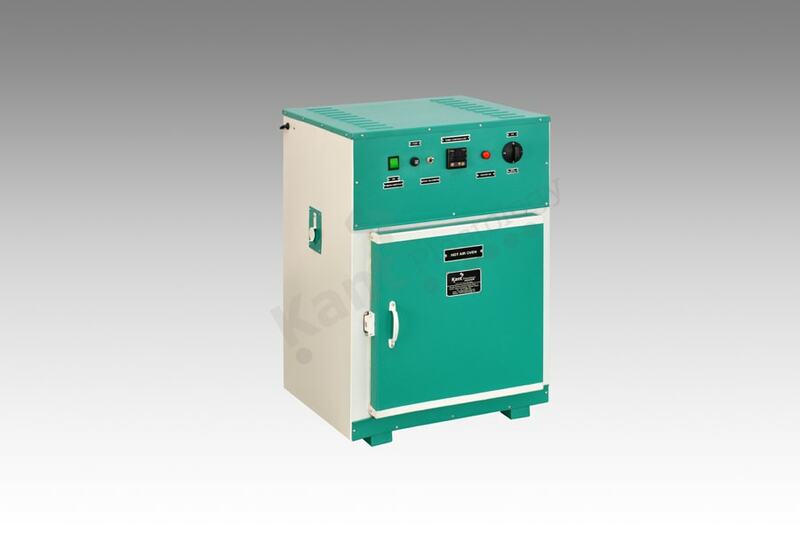 HOT AIR OVEN is amazing testing device which is designed elegant by the highly skilled engineers of Kant Plastology to perform different types of tests in various types of products at prescribed temperature. The internal stainless steel body retains three side heating zone to make perfect temperature equilibrium and it also has an air circulating blower which ensures even distribution of hot air inside the chamber. The apparatus has thick insulation to minimize the heat loss during test. The apparatus design is maintenance less and its operation is very user friendly.